Cell phone accessories have become a necessity for not only personal style, but also for added production. 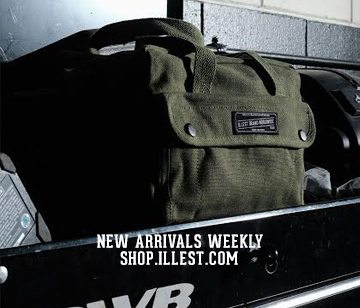 The top brands mix function and fashion for your everyday life. 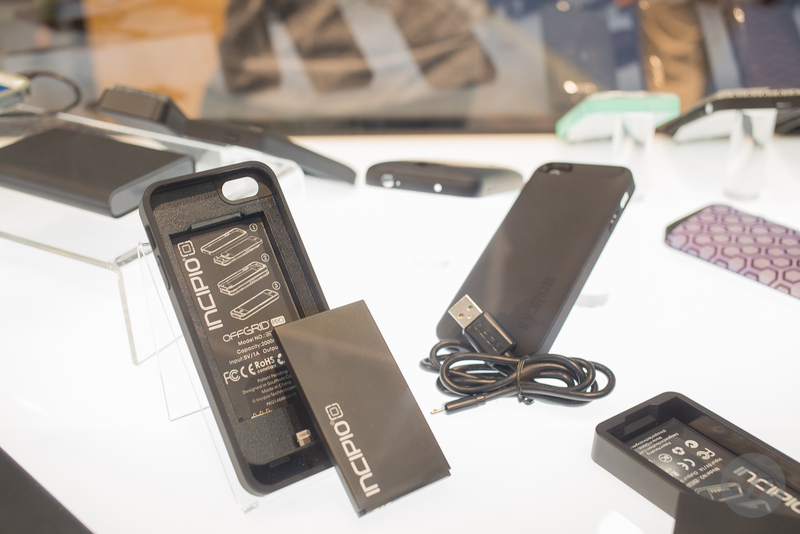 Mophie has become the leader with their external battery pack cell phone case. 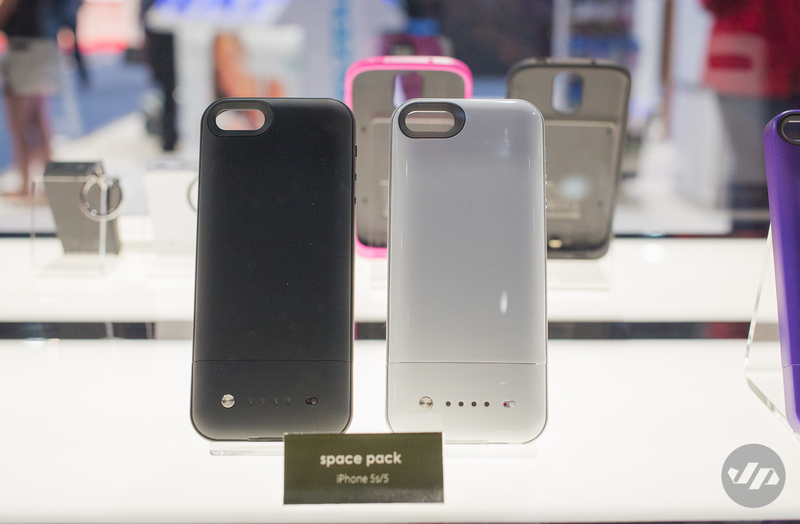 This year they will be releasing the Space Pack that will add external storage in additional to providing more juice to your phone. The external storage will work similar to a flash drive and will work via a proprietary Mophie app to help move things such as photos, video and music to the Space Pack. The case will come in two sizes with a 16GB for $150 and 32GB for $180. Expected to release in March this case is at the top of my list. 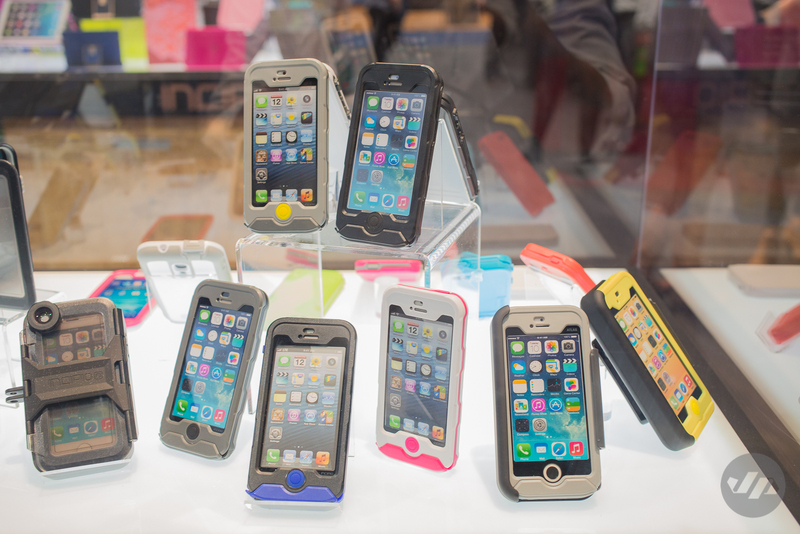 Incipio showcased their new Atlas ID, waterproof ultra-rugged case, which is available for the iPhone 5S. The Atlas case without ID is also available for iPhone 5, 5c, Samsung Galaxy S4, Moto X, Moto G, Droid Mini and Droid Maxx. The case is waterproof up to 6.6 feet, shockproof, dustproof and comes with a warranty. 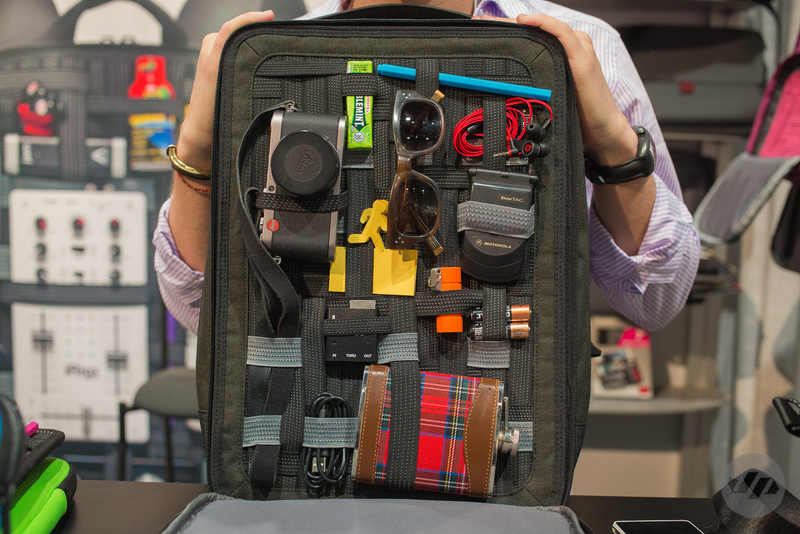 This case would be a great companion for my trip to Hawaii next month. 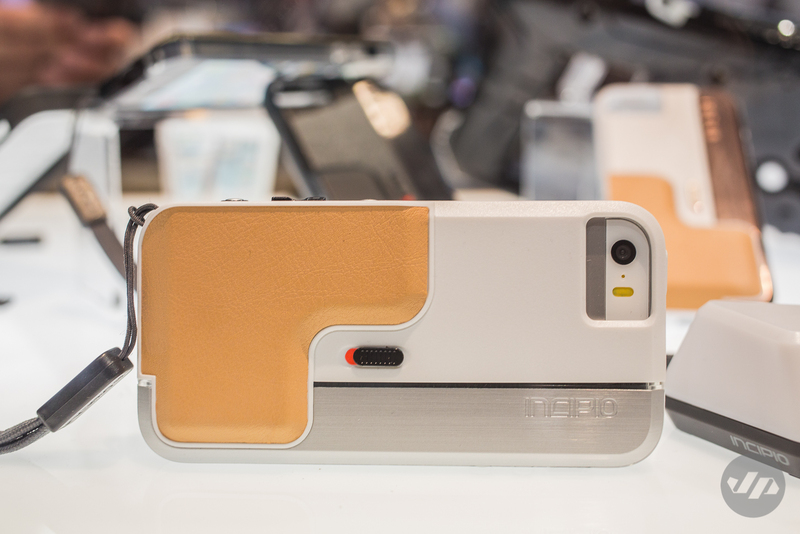 Incipio also showcased a few external battery packs in various sizes to go along with their popular OffGrid backup battery case, designer cell phone cases and a very interesting camera inspired case that makes it easier to shoot photos. I’m very interested in that one as well. Cases for all sizes of iPad were also available from thin to ultra-rugged and even one with a keyboard. 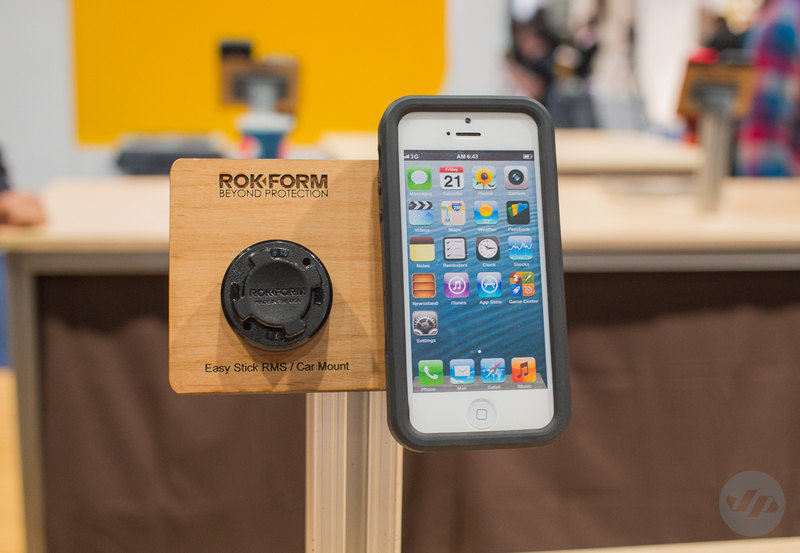 For those that want an ultra durable case with the option to mount it to just about anything, Rokform provides the best solution. The RokShield v3 comes not only with a car dash mount, which is easy to install in just any auto interior, but also with a handy magnet. 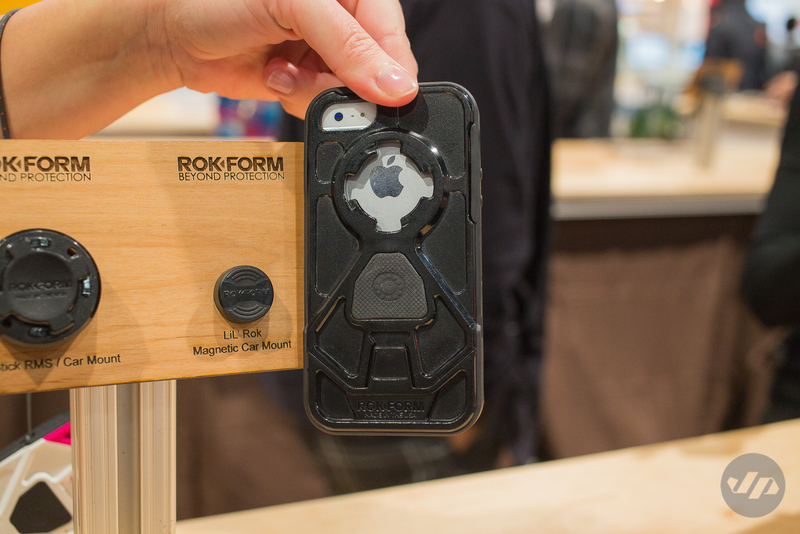 The magnet makes this case one of the most useful on the market. Say you wanted to stick your phone on the fridge while skimming through the latest recipe or if you were working on your car and needed access to the phone yet didn’t want to lay it on the ground you could simply stick to anything metal such as your tool box. But that’s just the tip of the iceberg as the mountable case there are a complete host of accessories that you can buy to help mount your phone to things such as your bike or motorcycle’s handlebars. They even just releases a mount made for strollers. I tested the mount at the show and it has a great system that makes it easy to mount and dis-mount the case, but yet gives you the comfort to know when it is mounted it is nice and secure. Of course there are other solutions when you want to keep your gadgets dry. 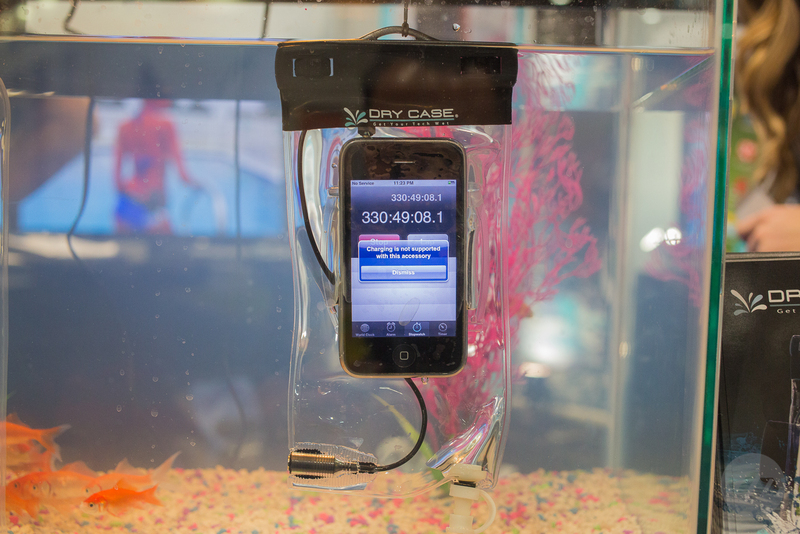 Dry Case provides a waterproof housing for cell phones and iPads. Their cases are bit more simple and can be connected to your arm with an armband or around your waist with the optional accessories. 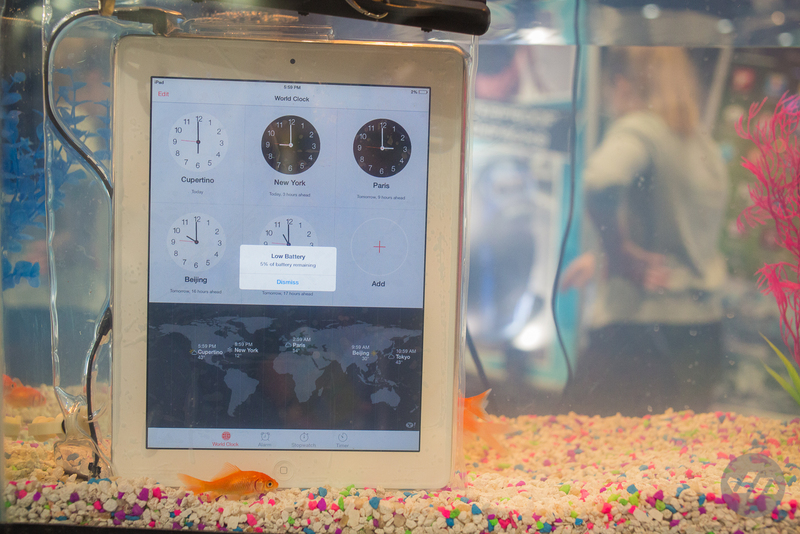 It also allows you to use your touchscreen while sealed along with use headphones via their waterproof jack. For those that are heavy into emails or text messages, Typo Keyboard provides a case with external keyboard for the iPhone. 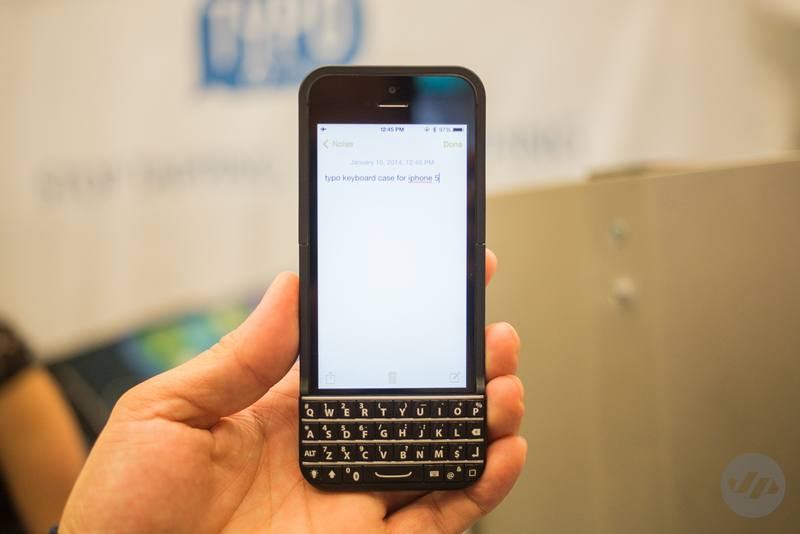 If you ever wanted to have the feel of a Blackberry (remember those) keyboard for your iPhone then this is the solution. The keyboard itself adds a bit of length to the case and the keyboard when I tried it was a little tough to get used to and I would imagine nearly impossible for someone with large hands and fingers. But the design is something that I know people have desired as an option for their iPhone. Portable power has been a growing category as more and more people spend their time on their phones. Even with longer lasting battery life straight from the box there has been a need for extra juice. Here are a few companies that provide a good solution for extra power. Hyper is one of the leaders when it comes to providing extra battery life. As I reviewed earlier the HyperJuice 1.5 external battery for MacBooks, the company also provides all types of options for your smart phone, tablet or any USB powered device. 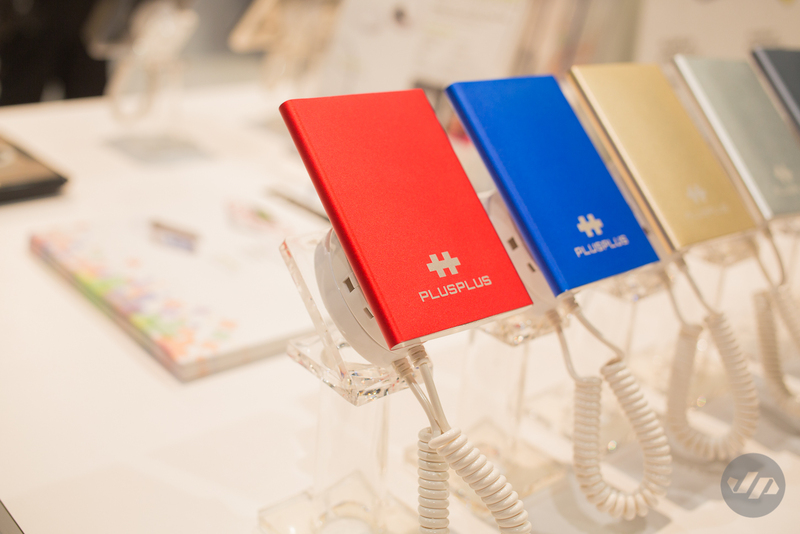 My favorite of the bunch was the Hyper Plus Plus, which is made of aluminum and also very thin. They showcased many options in various shapes and colors as well, but all provide extra power for on the go ease. 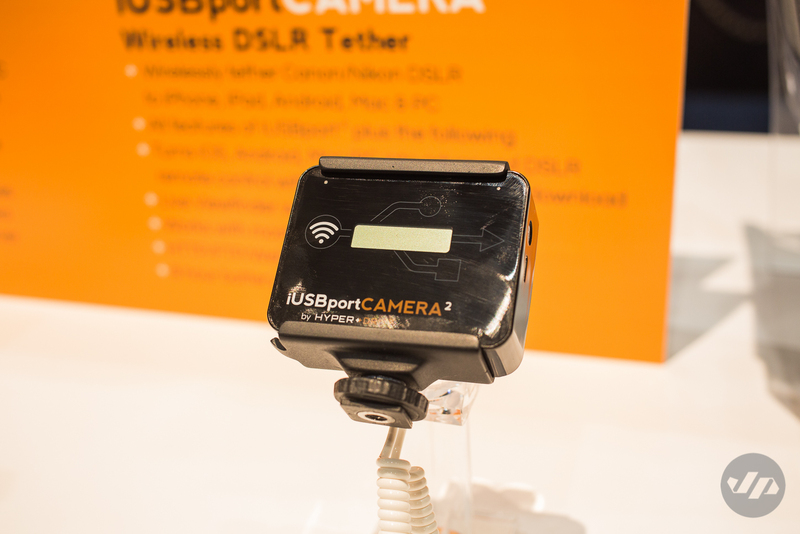 Hyper also showcased their new iUSBportCamera 2, which lets you turn your mobile device into both an advanced remote control as well as a wireless high resolution viewer for your DSLR camera. In the field it would allow you to showcase your shots direct to clients, control your camera settings wirelessly and shoot remotely in live view. 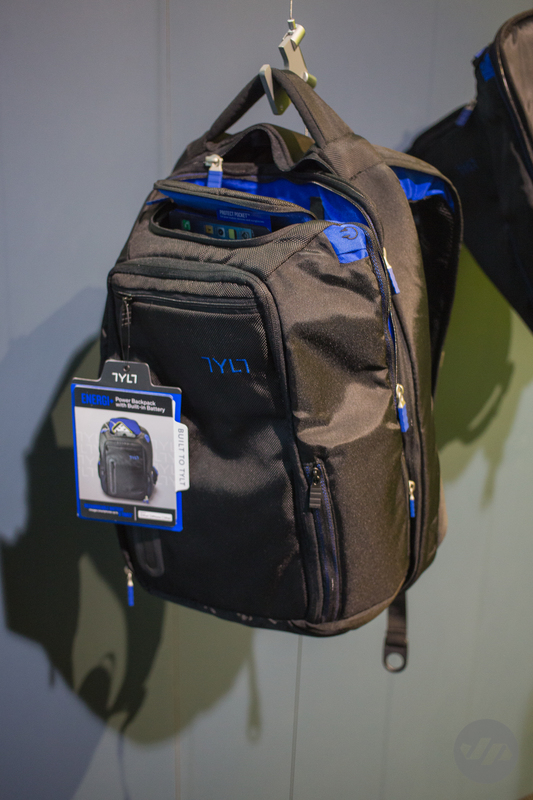 Speaking of portable power, Tylt also featured an array of chargers, cell phone cases and battery packs, but what really caught my attention was their Energi Backpack with built in power. 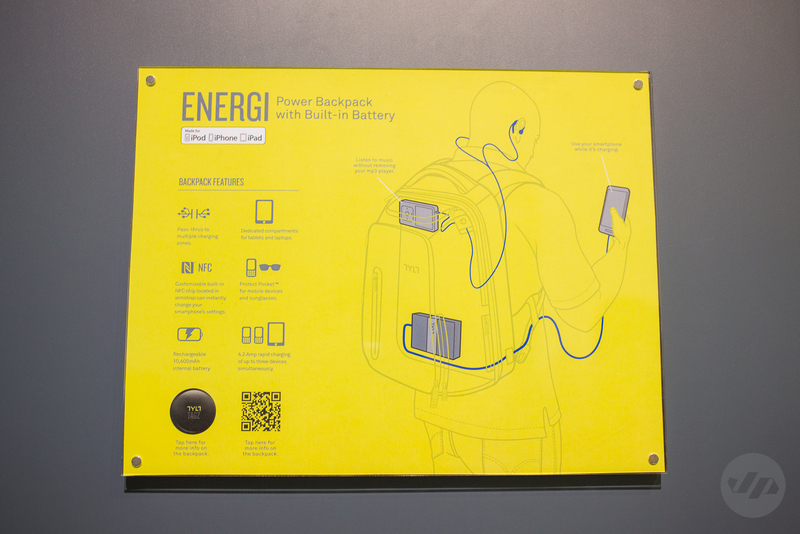 This could provide a convenient way to charge while on the go. The design was very clean and seemed functional with ample storage. I’d be interested in checking this product out to see how it performs. 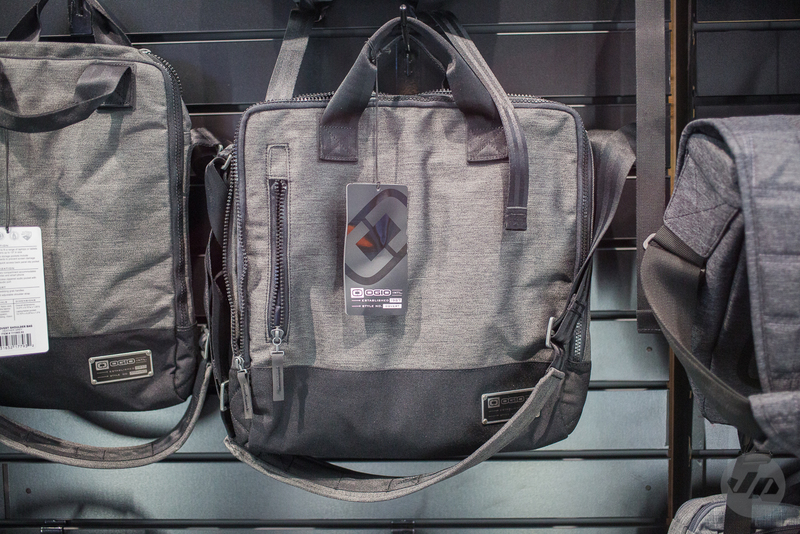 If storage is what you’re looking for their were a handful of companies showcasing various bags for everything from work, your commute and photography. 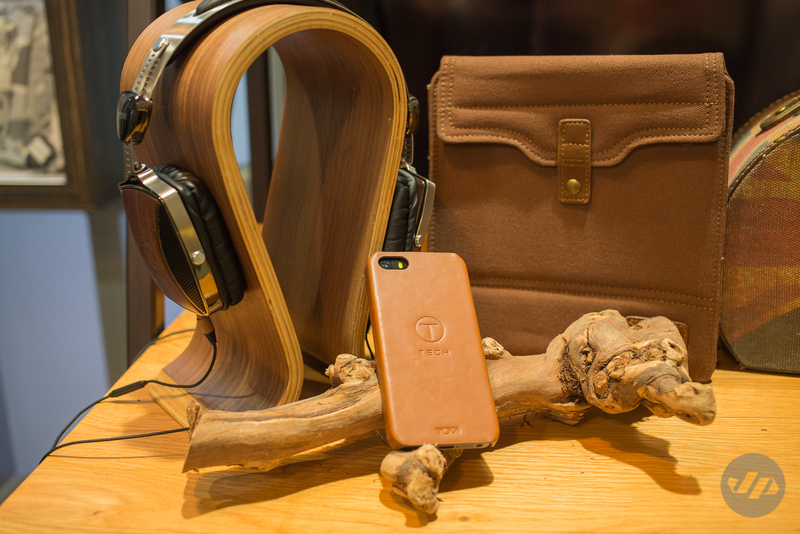 T-Tech by Tumi showcased a great collection of high-quality bags that you would expect, but also a collection of cell phone cases, external batteries and even headphones. 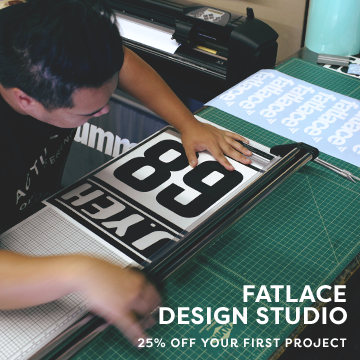 I had my eye on their leather padfolio and may need to invest in one for this year. 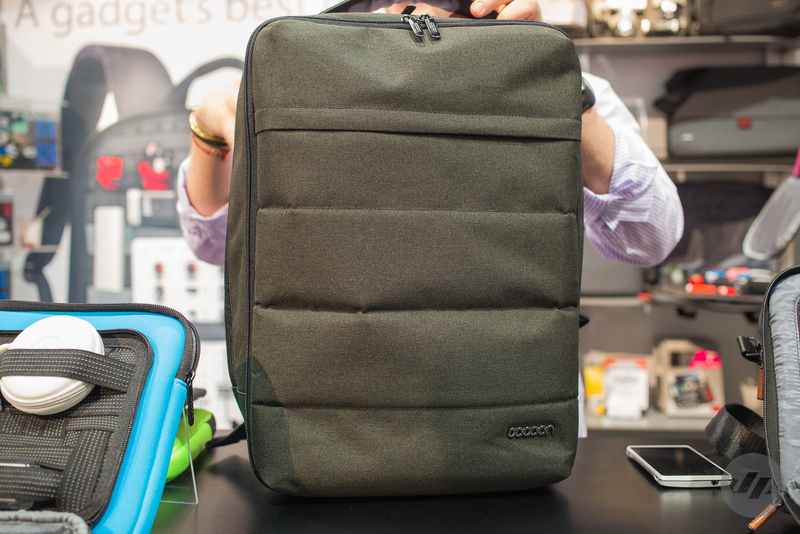 If you want to keep all of your essential gear organized neatly in your bag, Cocoon, provides a great solution with their Grid-it and backpack. 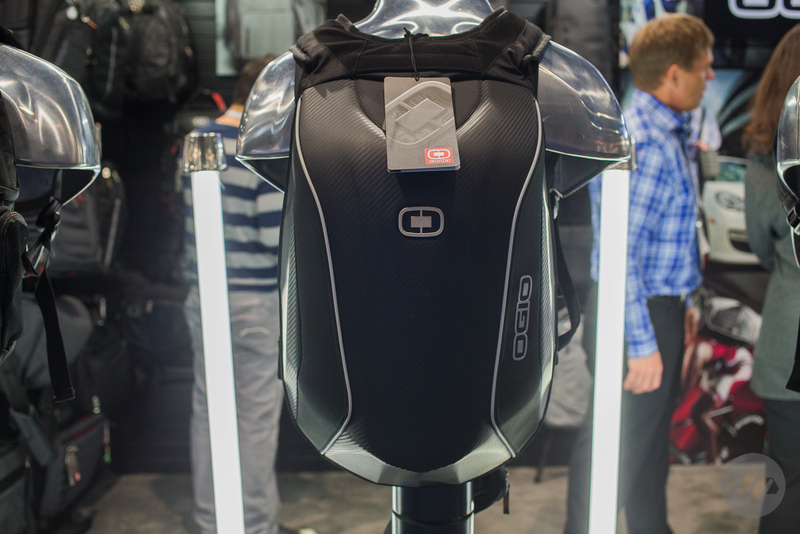 For those that ride motorcycles or even a Ruckus, this Ogio bag would be ideal. 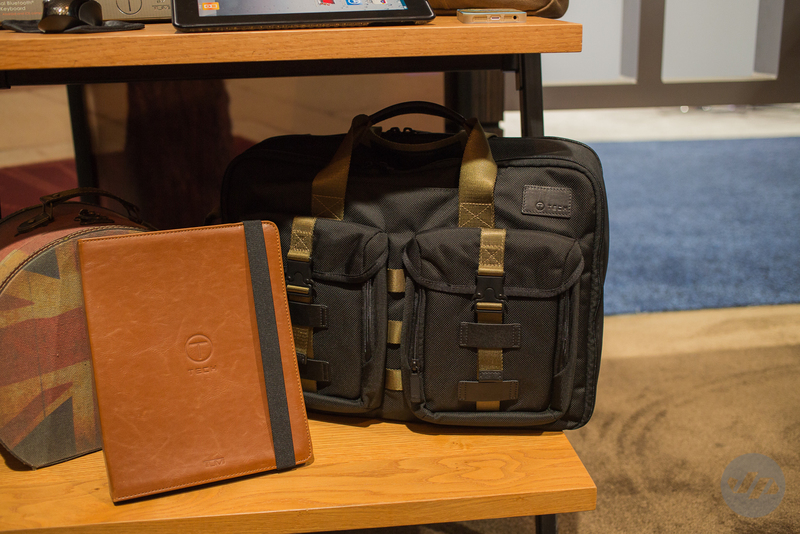 They also featured a few other work bags and travel bags that were sleek and stylish. I especially liked their Covert collection and this streamlined shoulder bag. Part 2 of my CES coverage will include more tech, health trends, music and sound solutions, and of course a few cars that were spotted. Great coverage! When are you coming out to Hawaii?